@ Robot: If it wasn't, it wouldn't be on this site. Anyway, it reminds me classic racing bolids from 60-ties too. Where does the Nordschleife time come from? 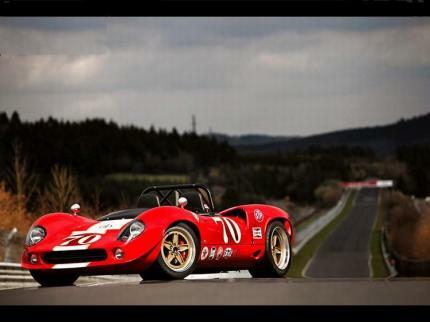 Looks like an old Ferrari race car. i wonder what it could do on an empty ring. Still cant add the lap. bug? Supposedly i cant add the laptime becasue this car is non existant in the database..
No no no, this is a Stock car built by Low Volume British Car Manufaktur Gardner Douglas, Its Insperation to the Lola T70 race car the fastest race car of 1966 as stated by them, its completely street legal with a choice of engines ranging from LS/3/7 400bhp-700bhp, with a list of, (Very Small) creature comforts and other ammenities, you can buy one straight from the factory for a price which i dont know of yet.